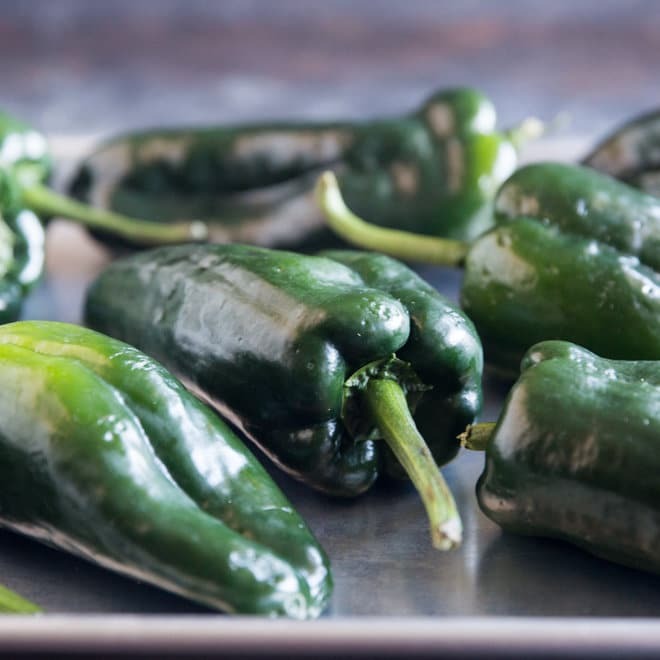 Learn how to roast peppers and chilies in the oven or on a gas burner. Use this method for bell peppers, poblanos, anaheims, pasillas, and more! 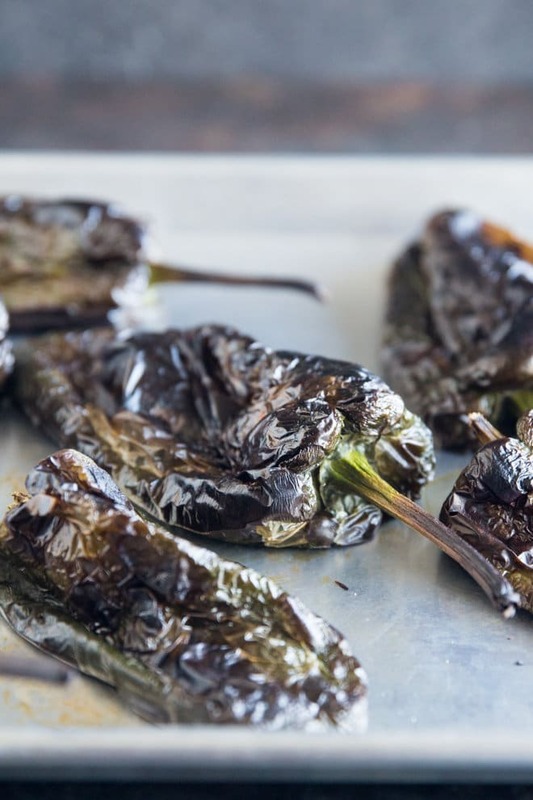 There are as many ways to roast peppers as there are peppers to roast. And once you’ve roasted peppers, there are so many delicious things to do with them! I’ve listed three methods for roasting peppers in the recipe: Oven/broiler method, oven/roasting method, and open flame method. I think the oven broiler method works best, but it’s good to have options. No matter which way you go, start with clean, dry peppers or chilies. See the recipe below for more detailed instructions, but here’s an overview. To roast the peppers under the oven broiler, heat the peppers under a broiler until the tops are blackened and blistered, about 5 minutes. To roast the peppers in the oven, bake in a 500-degree oven for 30 to 40 minutes, until the skins are blackened and blistered, turning occasionally to promote even roasting. To roast chilies over an open flame, prop chilies directly over an open gas flame. Using tongs, turn the chilies occasionally until all sides are blackened and blistered. Once the peppers have cooled enough to be handled, you’ll need to rub off the skins. I definitely recommend wearing gloves for this process, and if the skin doesn’t fall off easily, grab some dry paper towels and rub with those. Depending on how you are going to use them, you may or may not want to keep the stems intact. You can keep the peppers stored, covered, in the refrigerator for up to a week. Add them to sandwiches, soups, salads, and salsa! 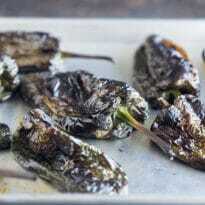 Or stuff them with cheese and batter them with egg batter and call them Chile Relleno. Yum. Save this tutorial to your “Main Dishes” Pinterest board! To roast the peppers under the oven broiler, arrange an oven rack 6 inches from the broiler and preheat on HIGH. Broil the peppers until the tops are blackened and blistered but not ash white, about 5 minutes. Turn the peppers every few minutes until all sides are blackened. To roast the peppers in the oven, preheat oven to 500 degrees. Line a baking sheet with aluminum foil for easy cleanup. Arrange the whole peppers in a single layer on the baking sheet. Bake for 30 to 40 minutes, until the skins are blackened and blistered but not ash white, turning occasionally to promote even roasting. To roast peppers over an open flame, turn a gas flame to HIGH. Arrange peppers directly over the flame. Using tongs, turn the peppers occasionally until all sides are blackened and blistered but not ash white. Transfer to a bowl and cover tightly with plastic wrap. Let stand until peppers are cool enough to handle, about 20 minutes. If stuffing the peppers, carefully rub off and discard the blackened skin, leaving the stem intact (I recommend where gloves). If chopping the peppers, remove and discard the stem and seeds. Cut the peppers into quarters lengthwise and chop. 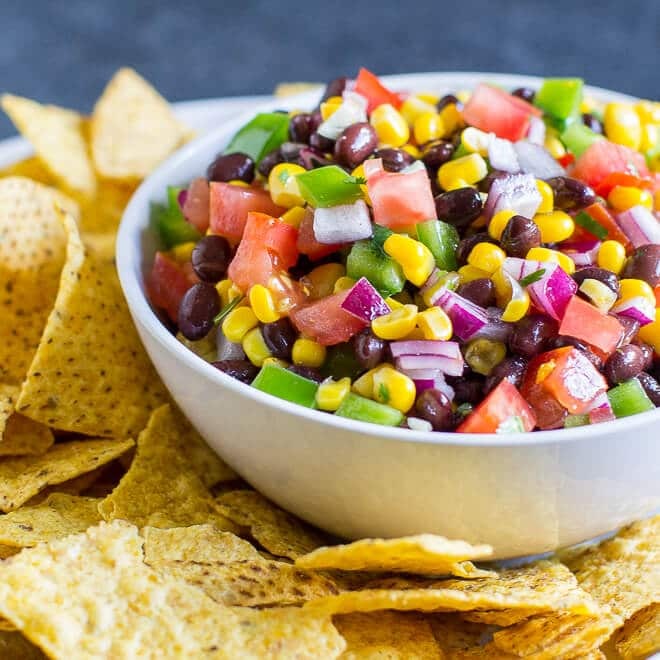 I am a big fan of Chipotle’s corn salsa as well as a poblano’s. Roasting is the the best preparation and uses for them are endless. Poblano’s FTW (because I’m a kid, at heart). I purchased frozen poblano peppers in Mexico at Walmart several years ago. Very handy to have. Have you tried freezing these? I haven’t, but I’ve frozen bell peppers and I roast them the same way. I think it would work great! Awesome idea. I love the idea of making a bunch at once so I just have them. Thank you!!! Poblanos a big in our house and I love them stuffed (I have a few recipes if you want to try something new!). I usually grill them, but this oven method sounds easy for when the “cold” weather drops in on us SoCal peeps (70° and below) Ha! I love poblano’s and they don’t ever appear on my little rock. I was just in Florida and I stuck one poblano and one cubanelle (which I also love) in a ziplock back with a cold pack. Good thing I did that as my bags were two days behind me?. I am going to attempt, again, to try to plant the seeds and grow them. I have never had any success, but keep trying! My on,y other option, is the different types of dried peppers they bring in here. They just aren’t the same as a good fresh poblano though, and different colors flavors also. I just used your roasting method to roast pasilla chilies. They came out great. I only roasted them for 20 minutes and they were mostly blistered all over and the skin, after steaming, was easy to peel. Next time I might go 25 minutes, I was just afraid they would turn to mush. Thank you. Thanks, Brian! Good to know. I suppose ovens vary slightly, but I will retest and adjust cooking times. Thank you and I’m so glad they worked out for you! Take care. Is there a reason that you don’t remove the seeds and membranes before you roast? It just seems like it’d be easier when the pepper isn’t soft. Hi Rebecca, I can’t say there is a reason. I have only ever tried to roast the peppers whole and uncut, but not for any particular reason. What you say makes a lot of sense and I’ll definitely have to try that! Thanks for your insights. I have an old Mexican ladies recipe for chile rellonos. It is excellent! I also have a very simple ranchero like sauce for them. Would be happy to share. Hi Sherry! YES. A million times over, yes. “An old Mexican lady’s recipe” sold it for me, there is no one more qualified to make chile rellenos. :D My usual Mexican restaurant just closed recently so I’m more desperate than ever. If you feel like sharing your recipe, you can email it to me at meggan@culinaryhill.com. I will cross my fingers! Thank you so much!!! My I also get a copy of the recipes? Hi Gwen! Did you sign up for the email list? There is a signup box in the sidebar on my blog. When you sign up, you automatically get a copy of the Chipotle Copycat recipes emailed to you. Thank you! I have a bunch of Poblanos I got at my farmers market last weekend. (9). I am single, 79 yo, and they are all mine. I’d like to make rellenos and freeze them. A recipe would be great. I stuff the Jalapeños with cheddar and chicken, and bake. If I cannot get a Rellonos recipe, I’ll do the same with them. I got a bunch of anaheims as well and don’t know how to use them either, chicken and cheese seem to work well with any chilies, but I’d welcome a choice. Hi Margaret! Good for you and your poblanos, I’m jealous! I don’t actually have a Chile Rellenos recipe to pass along to you. It’s on my list, it’s something I need to make, but I have no experience with that. One reader promised me a recipe but it hasn’t shown up yet. :D I think you could do the same with your poblanos as you do with the jalapenos, or try making a variation with beef or just cheese. I’ve had chile rellenos made with Anaheim peppers, too, at a local Mexican restaurant called Sabor. They were SO GOOD! They stuffed them with just cheese but it’s my favorite dish there. I will send you a note as soon as I get Chile Rellenos on the blog, but I don’t think it will be in time for you to process your current batch of poblanos. Sorry about that. Good luck and take care, and thanks for reading! Well this was a year ago but here’s your basic authentic Mexican chile relleno technique. Mi have lived in Mexico 12 years and my mother in law is Mexican. Roast and de-skin the peppers as described here, one extra hint: put the roasted heat hoteliers in a bag (old plastic shopping bag) and close up the bag, twist it shut. Let them steam for 10 minutes. Then, running them Under water, the skins/seeds/veins all peel right off! So from there, roll your pepper in white flour, inside and out. Put a “log” of white cheese in it, like Mexican manchego, Monterrey Jack, chihuahua, asadero, or even Gouda. It should be about 1/2 inch X 3 inches. Then dip the pepper in previously highly whipped eggs. (For this, take 5 egg whites and blend on high with whisk attachment until peaks form. Then one by one, add in yolks. The eggs should be stiff). Dip stuffed chile in the stiff eggs, and then quickly transfer it to a skillet with hot oil. Fry on one side, flip, fry other side–all till a golden brown. Transfer to paper towels to soak up some oil. Serve these in a tomato brothy sauce. To make sauce: pan sear/fire roast 2-3 whole tomatoes, a quarter of an onion (the whole chunk), 2 garlics, and 1 Serrano pepper. Once they have blackened skins, blend in a blender with a little water. Add this mixture to a pot with a tad bit of oil and some slivered onion pieces. Let the salsa simmer. Season to taste with powdered chicken broth (Knorr brand), add more water to make brothy. Season with more salt if need be. Place a ladle of broth and one pepper in a shallow bowl or directly on plate to serve. 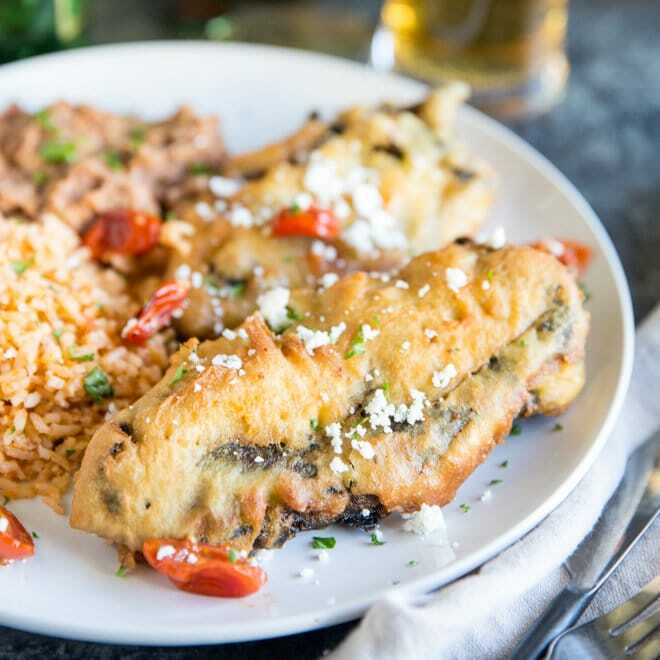 This is true Mexican chile relleno! Enjoy! 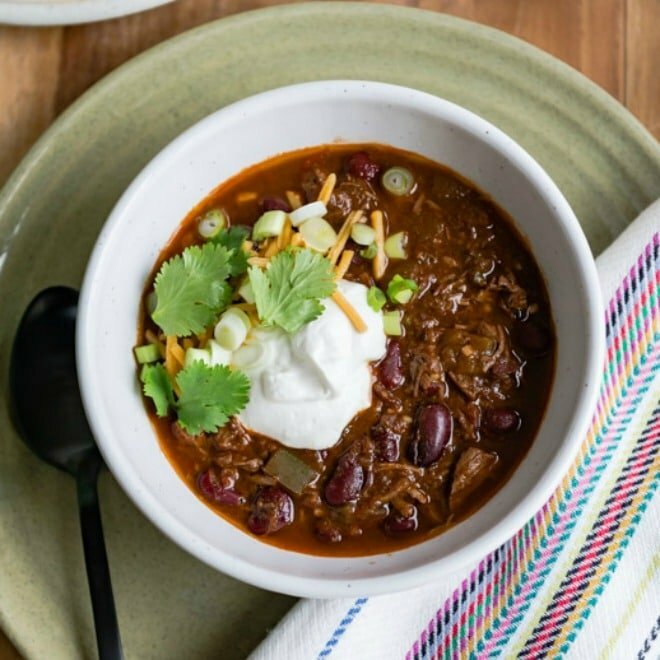 I came across a recipe for BILLY’S SMOKEY CHILI that calls for but I didn’t know how to roast them and that brought me to this site. I love Chili Rellenos but never knew until now that they used Pablano Peppers for that purpose. I will look for your recipe to show up on this site. Hi William! Always great to meet a fellow Chili Rellenos lover. They really are the best! I need to get a recipe on here, hopefully by the end of the year. :) I know that sounds like forever, so hopefully it doesn’t take that long! Thanks again and I hope the peppers worked out for you. I will do a search for Billy’s Smokey Chili. Take care! I got this recipe link from a friend. It’s in spanish, but if you watch the video it’s easy to follow. It looks good. I haven’t had a chance to make it yet. Thanks so much, Debbie! I’ll have a look! Wow, the peppers burst? That has never happened to me, sorry to hear that. I will make these again and see what else I can add to the post. Thanks for your comment Jennifer! I will say that I refrigerated them and later went to stuff them. The first one, as I was trying to get the seeds out, completely fell apart. The others, I just opened up the pepper where the burst already was (they all had burst or torn a little) and then rinsed out the seeds. I’d prefer not to rinse that flavor off (and they still tasted delicious) but that got the seeds out without the whole pepper crumbling. 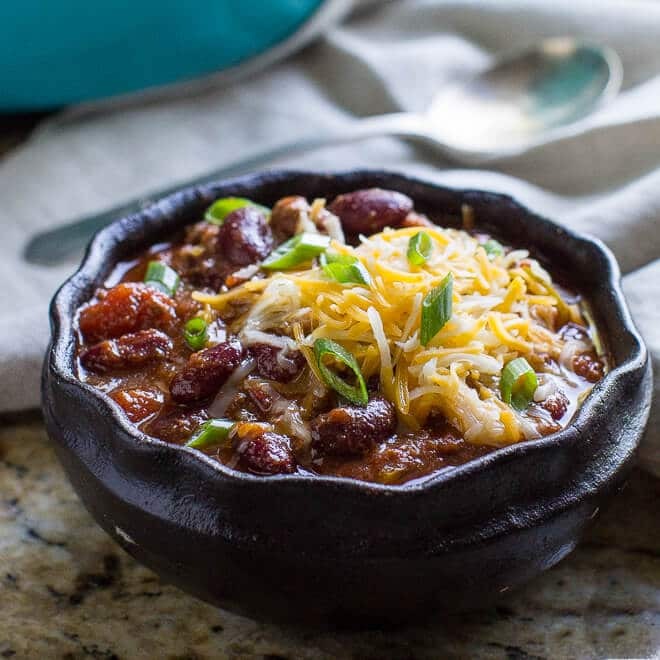 I was able to gently set them on a baking pan (stone) and put some leftover chili in them and heat them up and they held. I mean they were cut with fork and knife, but they were eaten and tasty! I believe my error might have been giving them that extra 10 minutes, that was enough to cook the pepper itself a bit too much. I will still be trying your way again, just going on the shorter end of time frame. Thank you! Hi Meggan, I share your love of roasted peppers, and poblanos are my favorire also. Although the extra spicy variety of Hatch green chiles from New Mexico are a very close second! Here in Texas, we can buy those by the case every fall and the grocery store will roast them for free in their outdoor chile roaster. Then we bring them home, package up and throw them in the freezer to use all year. Spoiled, right?! Anyway, when those run out, I roast them at home, but under the broiler. It only takes about 10 minutes that way and doesn’t make them mushy. They do pop, hiss, and burst, but that is normal and just means there is a ready made slit in the pepper for stuffing which is a good thing! There are step by step directions for chile rellenos at Mexgrocer.com Happy eating. I knew the peppers could be roasted in the oven, but wasn’t sure of the temp and time. Thanks for having this available!! 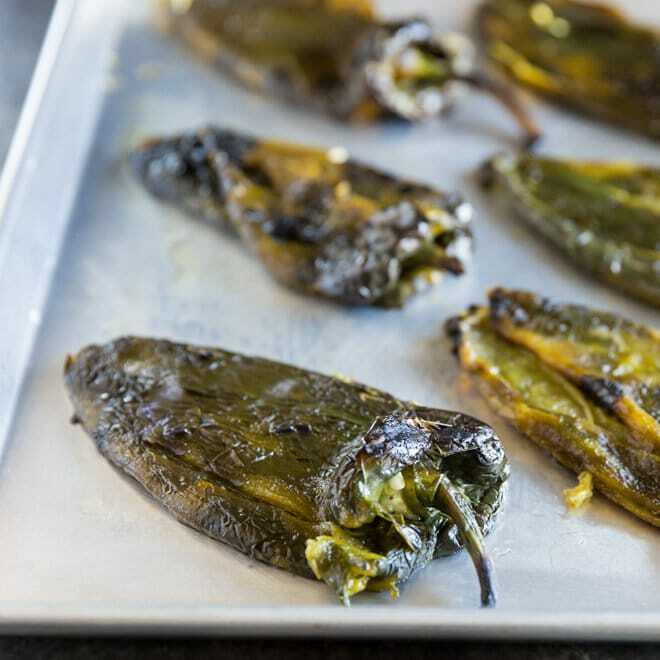 I like roasting Poblanos, Anaheim and jalapenos on the gas grill and speed things up using a propane torch. When done drop in a plastic bag to let them sweat and then run them under cool water and the skin falls right off.